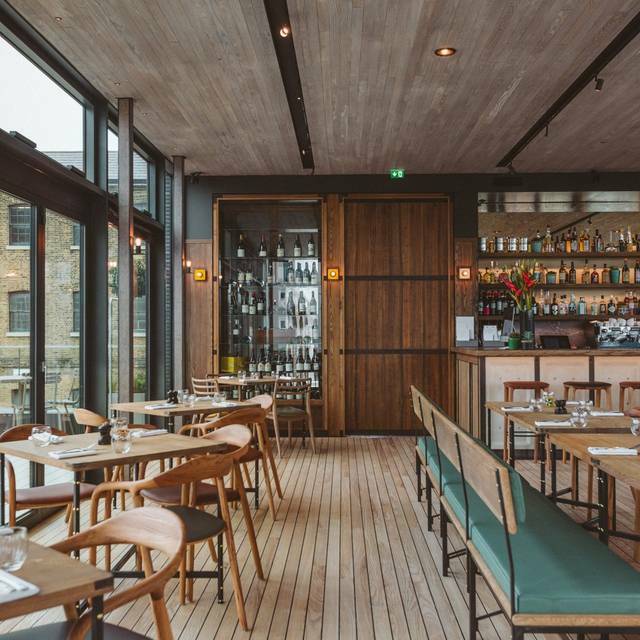 The Lighterman, a pub, dining room & bar, is open all day, every day, offering everything from a morning coffee or breakfast through to lunch, dinner and evening cocktails. Our Head Chef has created a modern British menu with European influences for breakfast, lunch, dinner & Sunday roast. 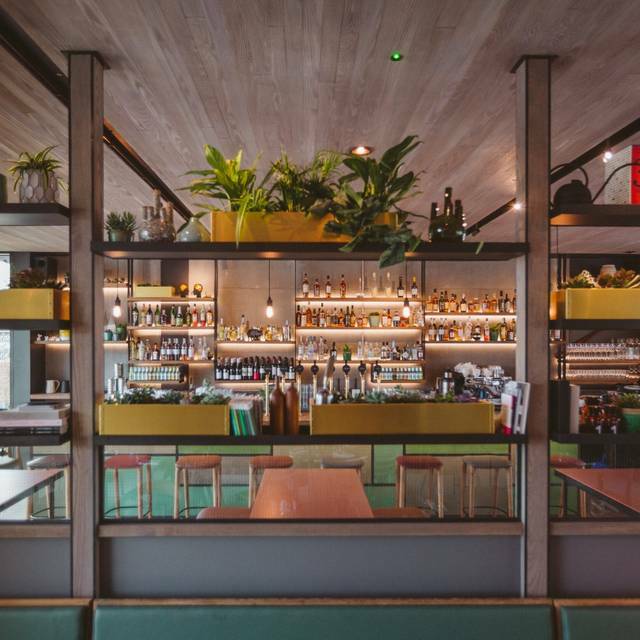 The extensive drinks menu includes draught & bottled beers, craft ales and seasonal cocktails, together with a well-curated and affordable wine list. There is plenty of outdoor seating. 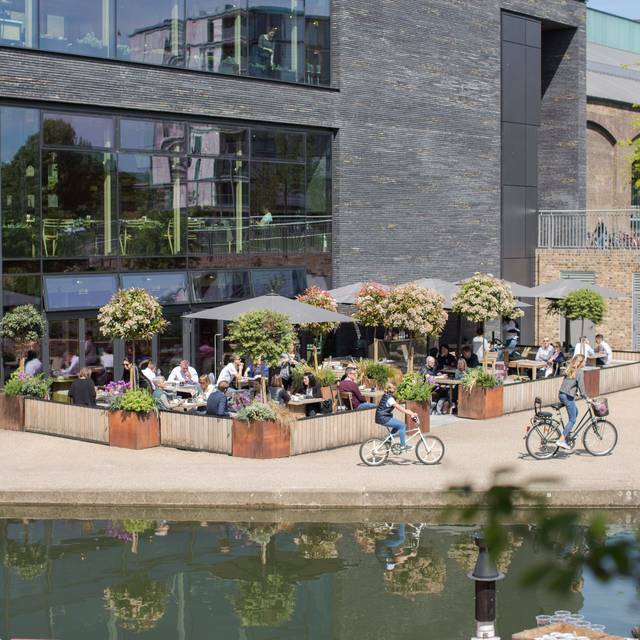 The canal-side bar with alfresco terrace overlooks the water, the ground floor has seating directly onto Granary Square and the top floor has its own wraparound terrace, with panoramic views across the square and canal. Food and drinks were fine but service was dreadful - we were ignored several times by different members of staff and treated like a nuisance in general! Really busy evening because of the good weather so ended up waiting over 15 minutes for our drinks. Same again for our starters. Asked to swap the peas that came with the fish and chips for the beetroot and carrot slaw and was told because it was only a small ramekin of peas, I'd have to pay extra for the slaw. The fish and chips turned up with the same amount of peas as we got of the slaw, so not sure why I had to pay extra. I'd also swapped the peas on a previous visit for broccoli for no extra charge. Really noisy, service was okay but clearly stretched. Overall bill for two courses and 3 drinks was nearly £100 so not great value for money, particularly as the portions are fairly small; not sure I'll go back again. Service was excellent, very engaging. Food was good though a little pricy for a sunday lunch. I booked a table for 12 for brunch yesterday.We arrived early and we were told to sit in the bar downstairs until the top floor restaurant was open. We left the down stairs bar to get our table upstairs at 11.55 , only to be told that the upstairs was not ready yet. We had to stand near the ground floor stairwell for 15minutes. I had to ask the lady at reception could we be seated in one of the empty tables on the ground floor rather than carry on standing. I was quite annoyed because there was an over abundance of staff chatting and we were being ignored. We finally were brought upstairs to be seated, the food was fine but when we got to ordering coffee and desert, we were told on three separate occasions that we needed to hurry up. This was from 1.45-2pm. Considering the delay in getting our table, I thought it was rude and inconsiderate to rush us, I couldn’t even finish my coffee. I would avoid and I won’t be booking this restaurant again. Disappointing customer service. Food was a little bit salty but well cooked. The service was good but a couple of elements missing. 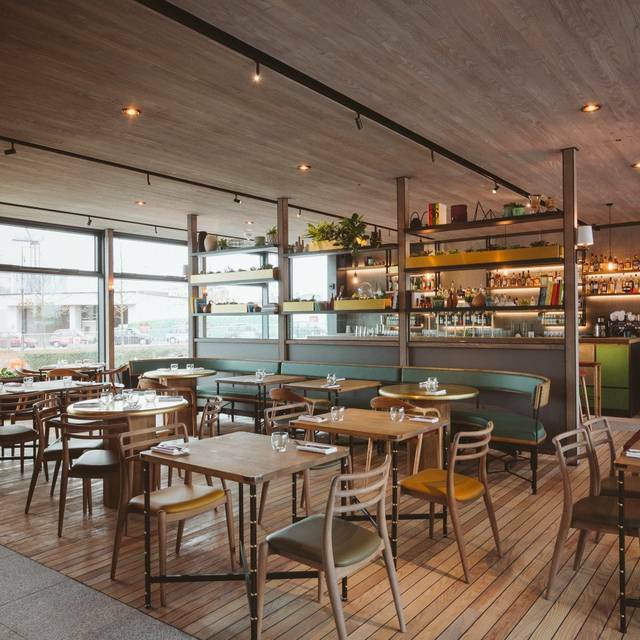 I'd tried to book The Lighterman on several occasions and it's always been full and now I know why! A small menu but the food was excellent. We both went for the fish pie which is one of the best I've ever had and then we shared a delicious passion fruit cheesecake. Our waitress was very knowledgeable, helpful, efficient and friendly and service by other members of the restaurant was very good as well. 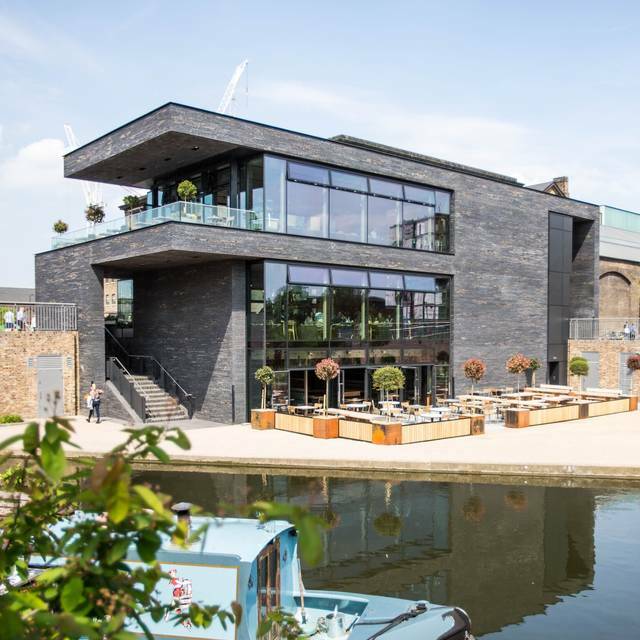 It was a beautiful evening and the views from the first floor of the canal, Granary Square and the setting sun were superb. Loved the interior with all the windows and plants. A tad on the pricey side, but really enjoyed it. We'll be back! We were four friends wanting to have a special Sunday lunch. One of us ordered the Sunday roast which consisted of Sirloin beef,Yorkshire pudding and vegetables and reported that the meat was stringy of poor quality and the Yorkshire pudding was stale. Two of us ordered the fish and chips in a beer batter expecting to receive a good piece of fish lightly battered. What could possibly go wrong with such a simple quintessentially British dish? Plenty it turned out as we received large globs of batter covering tiny pieces of fish which were a long way off being fresh. The chips were inedible small burnt pieces. Only a grilled fish dish for one of our party was considered acceptable. Coming together with a hefty add on for service the whole experience was frankly a cheek. It's all pose with no substance. Had an enjoyable evening. Would recommend this place. I must say everything from the greeting at the door to the exceptional table service by Luba was very friendly and welcoming. The food was superb and my friend, who I treated, said he loved it as well. So many times new places are style over substance but this place has it all. Lovely lunch spot. Great atmosphere with a nice mix of people. The staff were friendly and looked after us well. Really nice bright restaurant that we’ll be returning to when the weather’s better to make the most of the outside space. 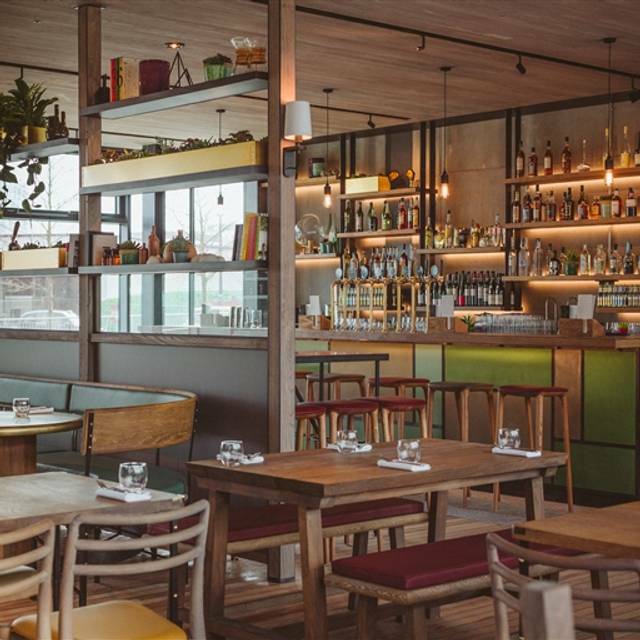 Food and service were excellent but the noise level was horrendous and would detract from my visiting again, but for younger folk, I am sure it is not a problem. I have been a few times before and enjoyed. Sadly took a friend we had at least four members of staff keep asking what we wanted and didn't allow time for us to relax and choose. My burger was pink almost bloody told a male waiter and he just shrugged. To be honest I don't think he even heard. The noise level was hard to talk. We left and went else where to have desserts. 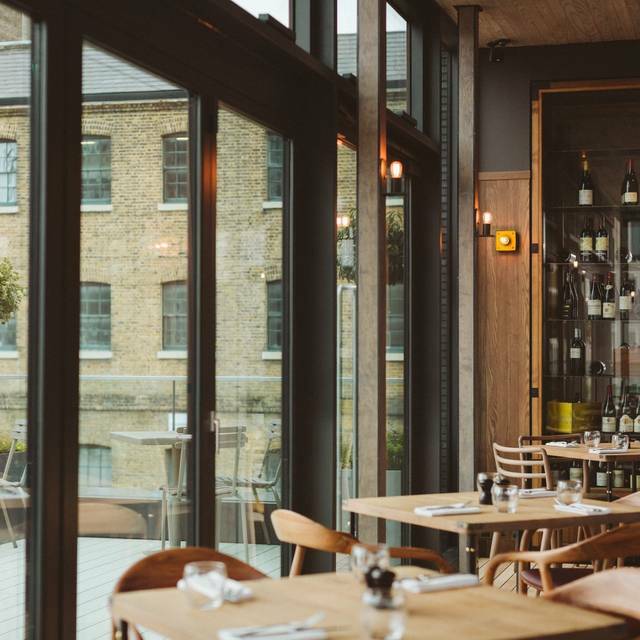 We had a really nice meal at the lighterman. There were good options for a few different dietary requirements at the table and the staff were really helpful checking what was and wasn't safe for a newly pregnant person to eat. Couldn't recommend more. Lovely outlook over the canal at Kings X. Was attracted as it looked so light and airy & it didn't disappoint. Starters were great. Main salads a bit bland. I could have quite happily had cheese & biscuits to follow but only sweets on offer. Would come again but need to accept it's quite a limited menu. NB For those that don't know - it's cashless. Suits most people but not everybody. We had the fish and chips and it was terrible, very thick batter and fish inside not cooked enough, the chips were overcooked and the portion a little small. Service was sporadic and close to non-existent. We had the table for 2 hours and on three occasions, 15 minutes before our two hour was up, we were pressured to leave as the next guests had arrived early! Very unpleasant pressure and very disappointing dining experience all around. The staff were really nice but were over stretched and thats why my rating is 3 for service. We waiting 40 mins for a drink. The food was slightly cold and came out at the same time as our drinks...we didnt order food until 30 mins after we ordered drinks. Then there was an additional drink added to our bill which they did remove. The place has so much potential but is in major competition in the area its in. Nice restaurant but staff abit in your face and tap water with a funny taste. I booked a table for 5 people for an informal work dinner. The staff were excellent and accommodated the fact that we needed a quick dinner because we had an escape room booked one and a half hours from the table booking time. They dealt with the more difficult requests from my colleagues and were great throughout. Food and drinks were great too. Warm welcome and good table on the 1st floor. Noisy but just about managed to have a conversation without losing our voices. Tasty food (burgers & fries) and didn't have to wait too long for it (this is important: I get hangry!). My companion asked for no onions on her burger but that was missed by the kitchen. Our waitress noticed she'd picked them all out though and was profuse in her apologies. The pretentiously-named "Yorkshire Burnt Cream" was really good with a lovely rhubarb compote and home made shortbread. Prices a little steep for what you get but standard for a popular place in London. We were testing it out as a rendez-vous/lunch spot for my friend's hen-do in the summer and with a terrace or window table, it will serve us well so we'll be back then. Lovely food, excellent views from the top floor, very well furnished and designed. Quite noisy at lunchtime, somewhat expensive. Having visited for drinks a few times , we decided to try the Sunday lunch. Overall it was a great experience & would highly recommend !! Excellent roast Lamb and hearty portions ! Excellent service and good food. Tables are a little too close together, and the noise level is high. It will be better in Summer when the terrace doors are open. We made a reservation for brunch on Saturday and the staff was very helpful, greeting at the door, high chair as requested. Large portions amazing granary bread and poached eggs. Good coffee. It’s a repeat visit and it’s been consistently good service. The food selection is varied and reasonably priced. The only thing that got us was when we asked for milk with our tea and coffee, the server had pointedly said we will be charged for it. I’ve never encountered this, is this their way of reducing wastage of unused milk? Excellent location, fair service not exceptional, same with the food. Very noisy, very friendly staff as well. I aim to go back. Solo dos horas para cenar. Pero por lo demás muy bien. Comida buena. Ambiente animado de gente de trabajar y amigos. Lovely lunch as always. Food good and reasonable price for a central London venue. 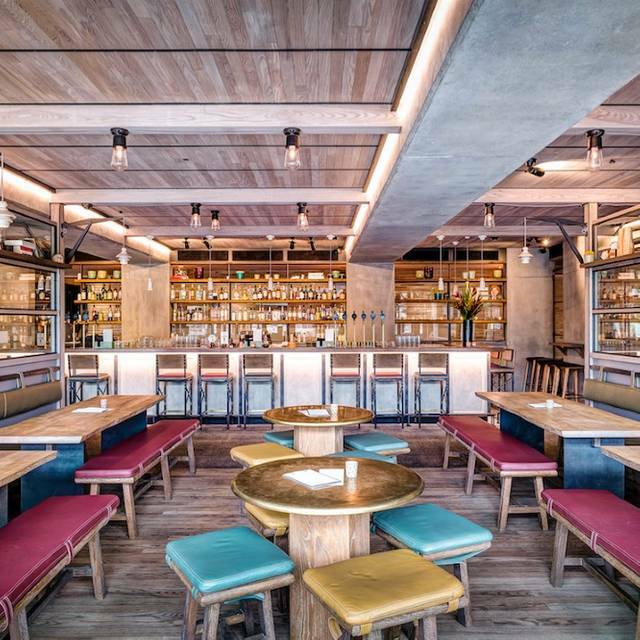 I like the lighterman, great spot, good beer, good service, good food. We this venue for a pre-concert meal as we had tickets for a gig at Kings Place, which is nearby. 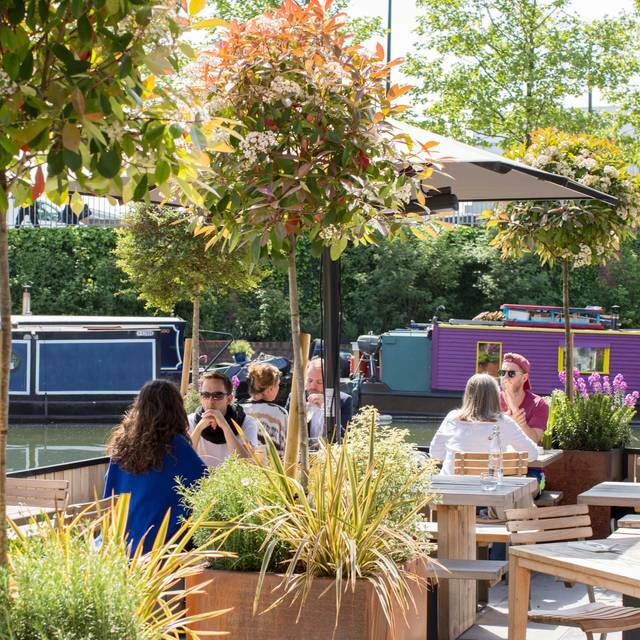 The location is good with views of the redeveloped canal area from the top floor where we ate. The lower 2 floors were much busier, a bit frantic for my taste but maybe not if you were just having a drink. I had the venison pie which was terrific, really tasty and "home-made". I had brussels sprouts which were a little too "al dente" and no sign of the chestnuts which were supposed to be served with them. My wife had fish and chips, really nice fish, the batter was crisp on the outside, a tad soggy inside. Prices not bad for the area. Really good beer but I've forgotten its name. Service friendly although had to wait quite a while to be invited to order a drink, lost patience and went to the bar myself. On the whole a nice experience and I'd probably go again. It was excellent. Our only issue was that on St Patricks Day the Guiness was not very good. Good quality food, cooked well. However, a simple grilled chicken dish with only a roasted head of garlic for accompingment ended up being poor value after adding fries and a sauce - the sauce being a tiny mean pot of hollandaise for £2! the total dish costing £20.50 for simple chicken & chips. However the food was good quality, tasty and the service was excellent - the waitress was lovely. Amazing food and service! Would 100% recommend. Thanks so much!